Facebook has revealed several new measures targeting the issue of transparency, third-party verification and brand safety. This was revealed by Carolyn Everson, VP global marketing solutions at Facebook, in a blog post. The post discussed the social media’s giant actions to build products and partnerships that can make advertising more transparent, accountable, and safe. When it comes to verifying ad performance, Facebook has been accused of grading [its] own homework. As such, Facebook is taking greater strides in third-party verification. This is through seeking accreditation from the Media Ratings Council (MRC), which is a US-based non-profit organisation dedicated to review and accredit audience measurement services. The review will target three key areas, namely first-party served ad impression reporting, third-party viewability partner integrations and upon launch, its new two-second video buying option. Everson explained that Facebook is working to get MRC accredited over the next 18 months across display and video on Instagram, Facebook and Audience Network for impression counting, viewability measurement and two second video buying. Through the move it aims to deliver the most accurate metrics possible to its partners. “We know how important it is to provide the right insights to our clients so they can focus on business growth. We’re not perfect. But we are striving for accuracy, and these third-party verification efforts will help identify potential issues,” Everson said. Facebook started working with third-party measurement partners in 2008 and has 24 partners in its measurement system to date. This includes Oracle Data Cloud, Nielsen and Kantar Millward Brown. Three of its partners measuring viewability are Moat, Integral Ad Science and comScore. In addition, it is currently the process of adding two new viewability partners, DoubleVerify and Meetrics, Everson explained. Facebook has revealed plans to introduce new monetisation eligibility standards. The new guidelines will provide clearer guidance around the types of publishers and content creators eligible to earn money on Facebook. These standards will apply to ad placements where context could matter, including in-stream ads and Instant Articles. The social media company will also begin providing advertisers with post-campaign reporting which clearly identifies which publication their ad ran on. This is across Instant Articles, in-stream ads and its Audience Network offering. According to Facebook, this comes with a higher demand for brands which want to know where their ads are being delivered. In the blog post, Everson explained that keeping the Facebook community safe is “critical to [its] mission”, and there is absolutely no place on Facebook for hate speech or content that promotes violence or terrorism. “With a community as large as Facebook, however, zero tolerance cannot mean zero occurrence. Every week, our community reports millions of pieces of content to us for possibly violating our Community Standards,” Everson said. 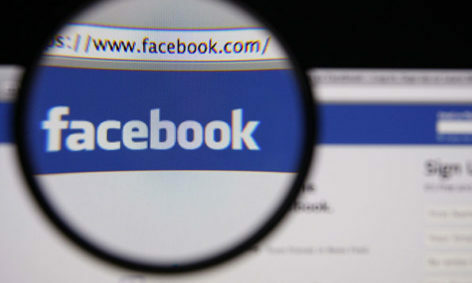 To speed up its process of reviewing content which has breached its Community Standards, Facebook has revealed that it would enlist an additional 3,000 content reviewers. The move doubles its existing team. In addition, Facebook’s team are also partnering with third parties such as DoubleVerify and Integral Ad Science to sure its brand safety tools and controls are serving advertiser needs. Addressing brand safety concerns, Everson explained that generally, people who view content in News Feed are able to implicitly understand that the individual posts they see, are not connected to or endorsed by the other posts in their feed— from brands or anyone else. “That being said, content adjacency might still be a concern for other ad placements in which the disconnect between content and advertisement may not be as clear,” she said, adding that this extends to Instant Articles and in-stream ads on Facebook, and placements on publisher’s sites and apps through Audience Network. As such, Facebook has revealed that it would also begin to roll out pre-campaign publisher lists. This is to give advertisers a preview of partners using Instant Articles and in-stream videos on Facebook. This also extends to publishers monetising their sites and apps via Facebook’s Audience Network. The full list of publishers on the complete set of formats for Audience Network is expected to be available by October. Meanwhile, post-campaign lists will begin rolling out in the coming months.